Rabat, August 14, 2011 (Magharebia) The Moroccan political scene is abuzz this Ramadan as parties study proposed laws governing the upcoming legislative election. The Moroccan political scene is abuzz this Ramadan as parties study proposed laws governing the upcoming legislative election. The most important bill being discussed, and the one that has caused the most disagreement, is the draft law on the Chamber of Representatives. One of the points of disagreement concerns the number of parliamentarians in the lower house. The bill produced by the interior ministry proposes that the number of MPs in the chamber rise from 325 to 395. The same bill provides for the national list to grow from 30 to 90. That list would be devoted to women and young candidates. Legal experts were critical of the measures, which they said should be discussed in the light of the new constitution passed July 1st. 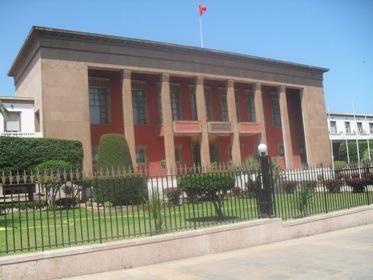 Ben Youness Elmarzouki, a research lecturer at the University of Oujda, said that increasing the number of MPs was “not appropriate under the current circumstances”. Increasing the number of MPs has been a constant issue in Morocco since the first legislative elections back in 1963, explained Mohamed Manar, a doctor of law and election expert who just published a book on recent votes. The number of representatives has steadily increased over time. Manar said this was linked to the nature of the political system, namely the choice between having two chambers or a single chamber in Parliament. “Today, whilst continuing to have two chambers, they are proposing increasing the number of MPs in the Chamber of Representatives. However, you must also bear in mind that the new constitution has decided to reduce the number of MPs in the second chamber, which cannot go above 120 councillors,” Manar said. The expert questioned whether the lower house needed as many representatives as proposed given that democratic countries with larger populations had fewer legislators. “The other question is whether this proposal to increase the number has come about as a response to a perceived need arising from research, or whether it is driven by other considerations,” he added. Answering his own question, he suggested that the proposal was made in the hopes that it would encourage a larger number of people to come forward as candidates, boosting turnout. Meanwhile, Elmarzouki brought up further negative points about the national list. He said a national list could discriminate as compared to a local list of candidates. He explained that the national list hoped to achieve parity between sexes but the draft law calls for young men under 35. He suggested that it should only include women as “a positive discrimination measure”. “You are not allowed to talk about young people in such a list, because young people cannot be favoured as a category. You cannot be happy to have young people represented only by men. In that way, you tend to exclude young women,” Elmarzouki said. In addition, the principle of parity demands that the idea of achieving equality by alternating men and women also be adopted in the local lists, he said. His feeling was that any problem with the representation of young people should be resolved outside of the national list.